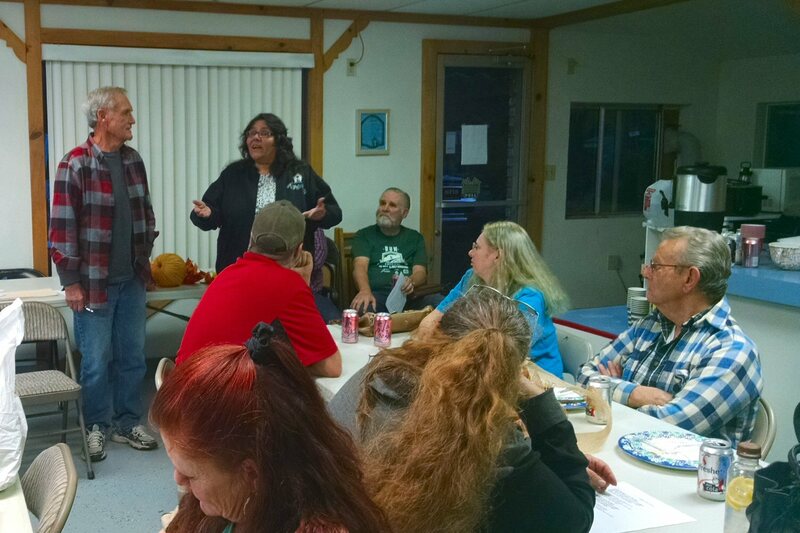 On November 8, the Burney Food Co-op hosted two Thanksgiving meals, one at 11:30 and one at 4:30. Co-op members enjoyed turkey and gravy, mashed potatoes, green beans, and dessert. After the meal, Buck Buchanan said a few words giving thanks to God for His many blessings and Sandra Martinez, who oversees the food distribution, shared a Thanksgiving testimony. After the celebration, food was distributed and each member of the co-op was given a Thanksgiving turkey. The Burney Food Co-op is a Christian non-profit organization formed by local churches, members of the business community, and volunteers to promote food security, dignity, and civic responsibility in Burney and the Intermountain area. Volunteers serve meals each month. Each meal is followed by a short devotional message. Co-op members also help to maintain the building, stock the shelves, and participate in local service projects such as cleaning Hwy 299 between Johnson Park and Hwy 89. 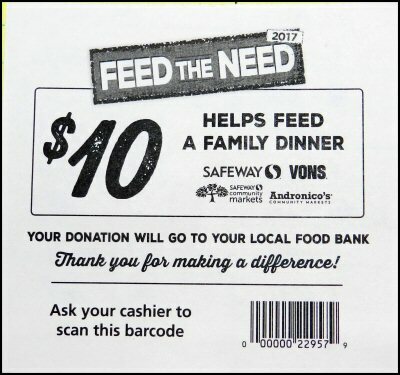 From now until just before Christmas, Burney Food Co-op is partnering with the Safeway Store in Burney for their largest fundraiser of the year called “Feed the Need.” Safeway customers can donate at the checkout counter and all proceeds go to purchase food for The Burney Food Co-op. From now until Christmas, local volunteers are working in cooperation with Safeway’s nationwide Feed the Need program to provide food for the Burney Food Coop. 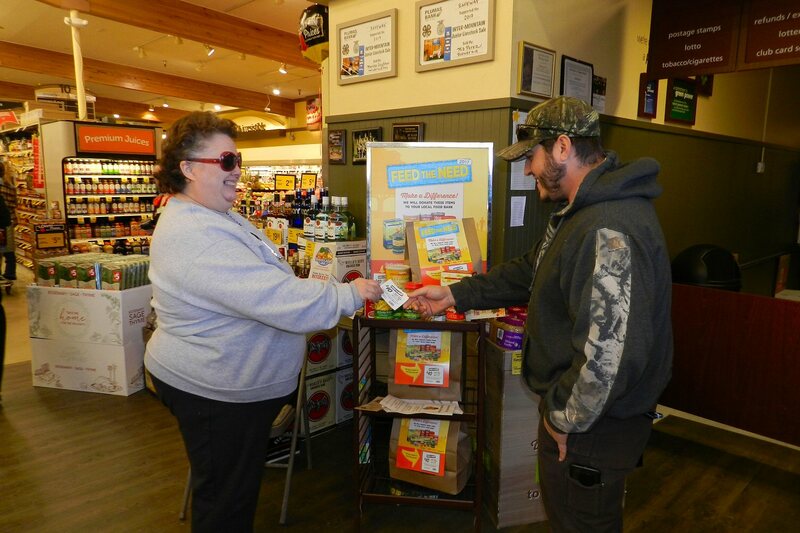 For $10, Safeway shoppers can purchase a pre-filled bag of groceries that will be donated to the Burney Food Coop. Just take one of the slips from the in-store displays to be scanned at the register. The Burney Food Coop is located at 36910 Main Street in Burney. It is designed to help provide food and fellowship for those in need in an uplifting setting. People of all races, religions, and cultural backgrounds are welcome. 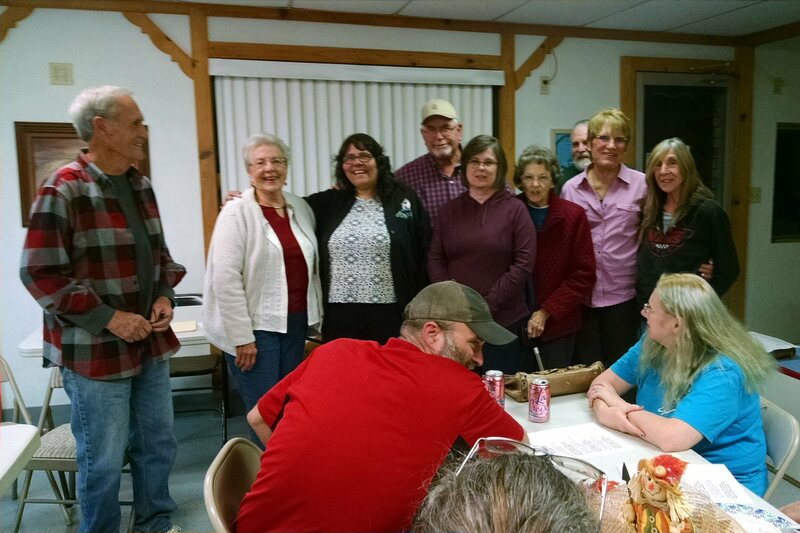 Co-op members meet regularly each month for a meal, fellowship, and food distribution. There is a devotional message at every meeting and members are encouraged to participate in their own provision, help one another, and serve the larger community. In addition to the current food drive, community members can also donate food or money directly to the Co-op or volunteer to help in various ways. All gifts are tax deductible. If you would like to learn more or get involved, please call 530-335- 5925 or 530-335-5244. Or you can Email burneyfoodcoop@gmail.com. Pamphlets explaining the mission and organization of the Burney Food Co-op are available at the Feed the Need display in the Safeway store.